So you found the perfect gift. It’s big. Wait, no, it’s huge. It’s absolutely **just right**, but now that it comes time to wrap it, you’re at a loss. Well, not to worry. At All Gifts Considered, we think through these things so you don’t have to. 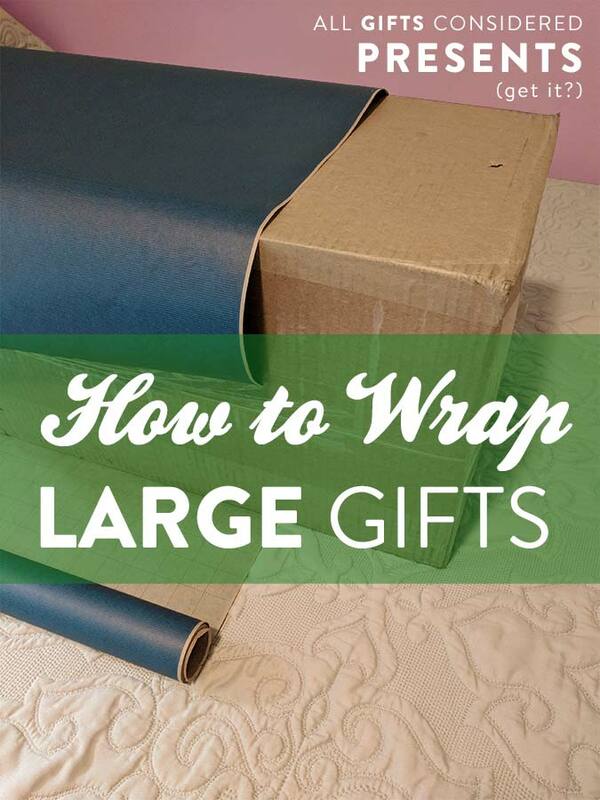 Read on for our Large Gift Wrapping Guide! We’ll cover a wide range of ideas and gift sizes. Some will involve creative (and possibly super-cheap!) do-it-yourselfisms, other options are specialty gift wrap products designed specifically for your need. 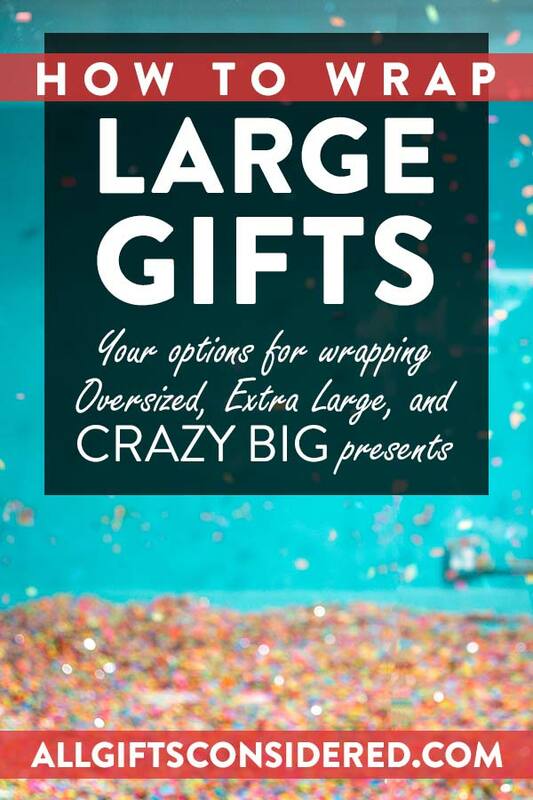 We’ll use those terms to describe how big the gift can get, and where possible we’ll include actual physical dimensions. 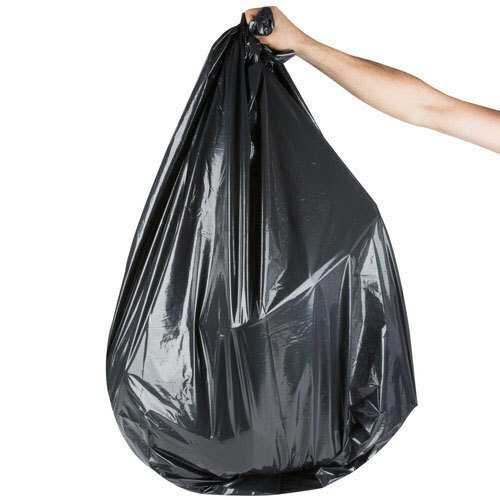 Here is your basic gift bag in an “extra-large” size. This will hold any gift measuring up to about 17″ x 12″ x 5″. The gift can be longer that 17″ if you cover it with tissue or a blanket/sheet. 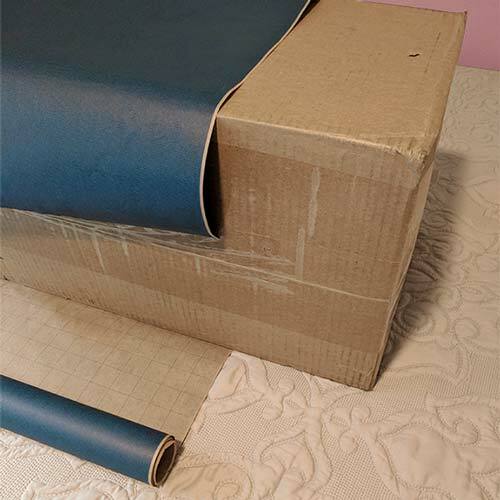 Most wrapping paper rolls are about 30″ wide. If you have a gift that is much larger than that, but still box-shaped, you can wrap it in multiple stages. Roll the paper all the way around one half or one third of the gift. Cut and tape, then move down and do it again until you reach the end. It takes a bit more effort, but this method looks pretty good (apart from the seam(s)) and can be done using the wrapping paper you have on hand. 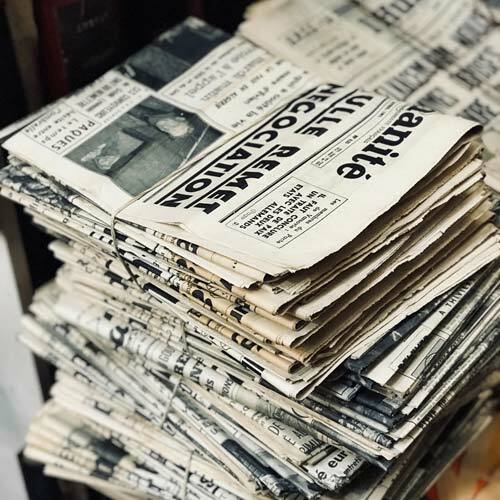 Reduce, reuse, and recycle that old newspaper. Just keep plastering on until the gift is covered. Works best with gifts in a box, but you can really get creative with this. This is the “go big or go home” option. 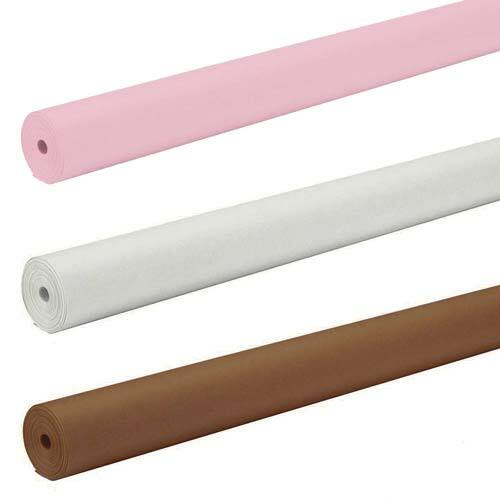 These 48″ wide paper rolls go on and on for 200 feet, meaning that you’ll never run out. Per foot, this is just about the cheapest wrap you can buy, and it presents a blank slate for you to decorate depending on the season, holiday, or occasion. 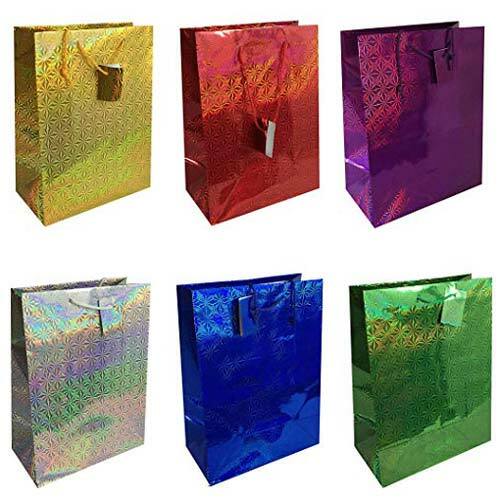 These jumbo-sized gift bags measure 36″ x 56″ and are ideal for wrapping oversized presents like kitchen appliances, sporting goods, bedding sets, and much more. Plus, they won’t set you back much more than about five bucks. Yes, the classic gift wrap technique perfected by broke college students. If you are even remotely open to this option, you’re probably already done wrapping your present and never laid eyes on this post. Well done. The rest of you, move along. Go to the dollar store and pick up a couple of plastic tablecloths. They cover your table just fine, why not your oversized gift? This will help you quickly wrap your large gift without having to spring for expensive wrapping paper. All it takes is a couple bucks and a quick trip down the street. Just don’t get sidetracked by the cheap candy isle. Same idea as the tablecloth, but even bigger. You probably have something like this laying around the house. 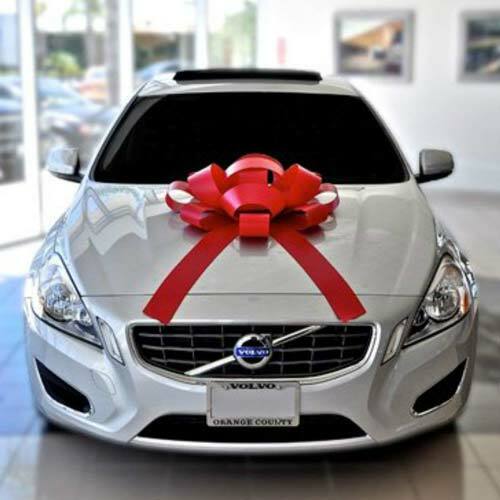 Pull it out, cover your gift, and maybe tie some twine around it or put a large bow on top. Once again, you probably have a set of bed sheets or a blanket lying around the house. Gosh, I hope you have a set of sheets… if you don’t, what are you doing buying large and expensive gifts?! Get your sheets together, people! JK. But if you don’t have extra sheets or blankets or if you are worried they might get ruined, stop by a local thrift store and pick up a set of sheets for a few dollars. Many sewing, craft, and fabric stores will have reams of inexpensive fabric on sale. Simply purchase yards of it and wrap it around the gift. If your skill set includes sewing, it doesn’t take too much work to create a large gift bag. Long and narrow gifts can present a problem for the casual, non-professional gift wrapper. Things like baseball bats, video stabilizers, javelins, golf clubs, and more have a unique shape that is difficult to wrap and hide. If this is your situation, consider using a mailing tube. Get an old box from an appliance store and cut off the top flaps. Place the box over the gift from the top, like you are covering a cake with a cake cover tin. 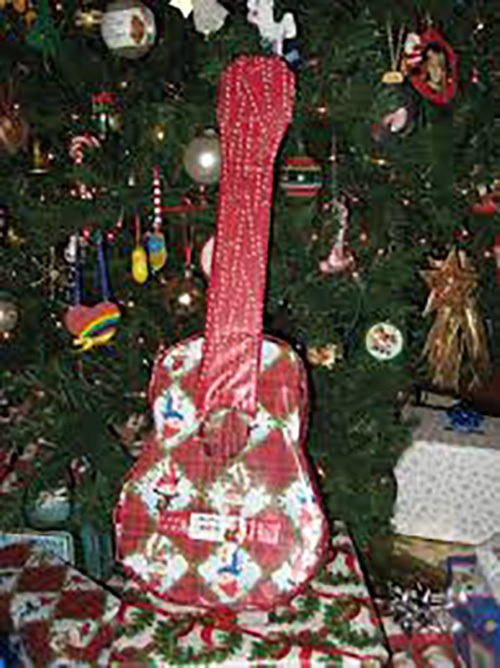 Sometimes it is fun to wrap a large and uniquely shaped object – like a guitar or kayak – with a tight wrap job that shows the exact shape of the gift inside. Keep in mind that this wrapping technique requires a lot of time, patience, paper, and tape. But the effect is truly memorable! If the gift is so stinkin’ big that you just give up on wrapping it, why, never fear – you can turn it into a game! 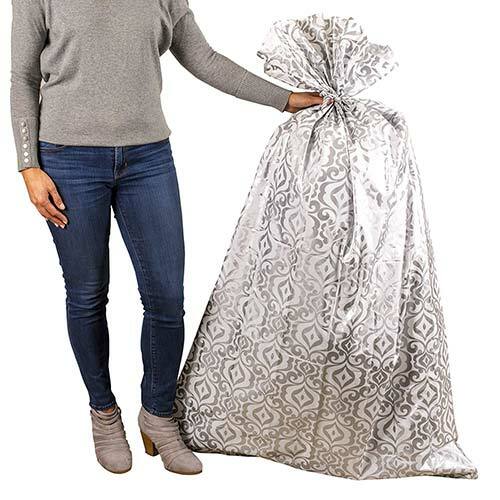 Hide the gift somewhere in your house, in the garage, outdoors (depending on time of year), in a shed, on the back porch, or even at a neighbor’s house. Post It has a fun guide on how to do this here. Another one for when you are just done with all the wrapping. Write “follow me” on a note and attach it to the end of a string. You can go directly to the gift, or make it a crazy adventure through a spiderweb maze of string. The string will ultimately lead them to the gift, which will be in the garage, a closet, the backyard, etc. Just put a bow on it. Give Good Gifts Vol 1, 9.28.18 – Welcome!